Having soft clean shiny hair without chemicals is now a reality. Wonder Care is a harmful chemical and odor free product that softens and conditions your hair even under the hardest water conditions. Wonder Care has been developed over ten years to provide a safe and effective way for people to soften and condition hair without harmful chemicals or animal testing. 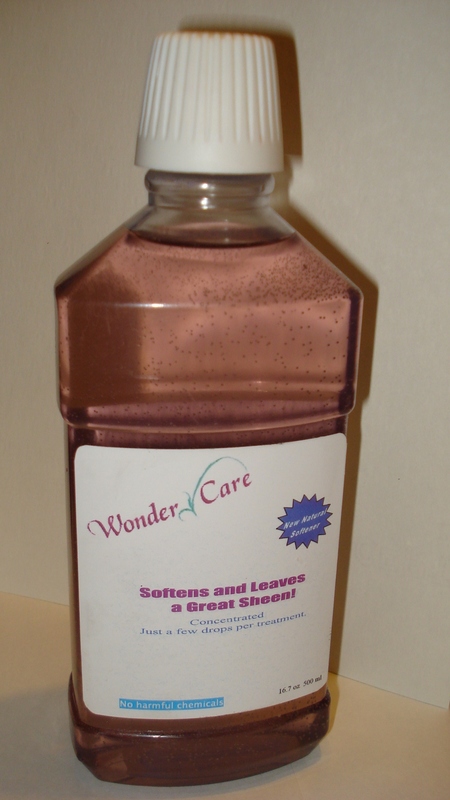 Wonder Care comes in both regular and concentrated strength for hair care professionals. Pricing: To order go to our Contact Us page.